Here is an adorable idea for snack time with your pre-school class or at home! These little grape kabobs by the creative genius at A Spotted Pony have been spotted all of pinterest latelt by different food blogging moms and I finally made them.... how cute are they? If you make these with your little ones, don't forget to post photos on our facebook page! Found you via True Blue Me & You. These are to die for!!! Love them! My grandkids loved them! Thank you for sharing. What a precious idea! 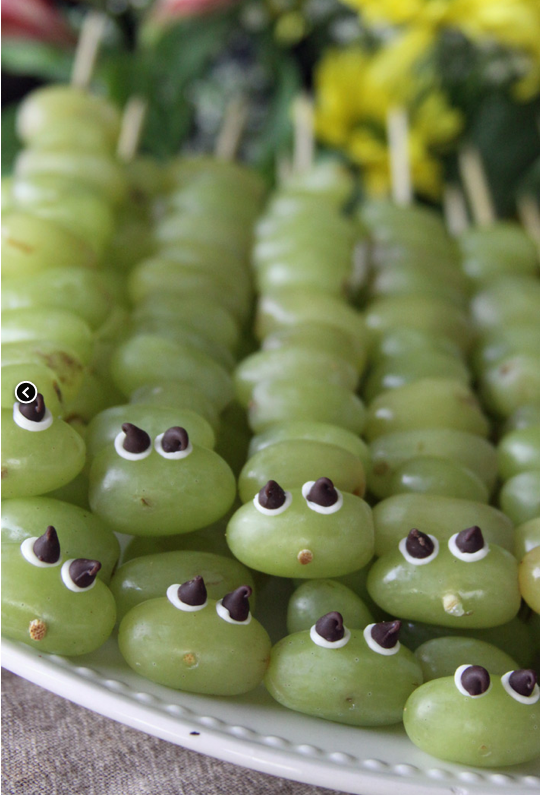 I pinned your grape caterpillar on my party food ideas board so more people would find them. So cute. My granddaughters are going to love them.